Things have been very busy around here lately. And I’m so glad I no longer had to blog every day! Over the next few days I’ll be sharing some of the projects I’ve been working on. 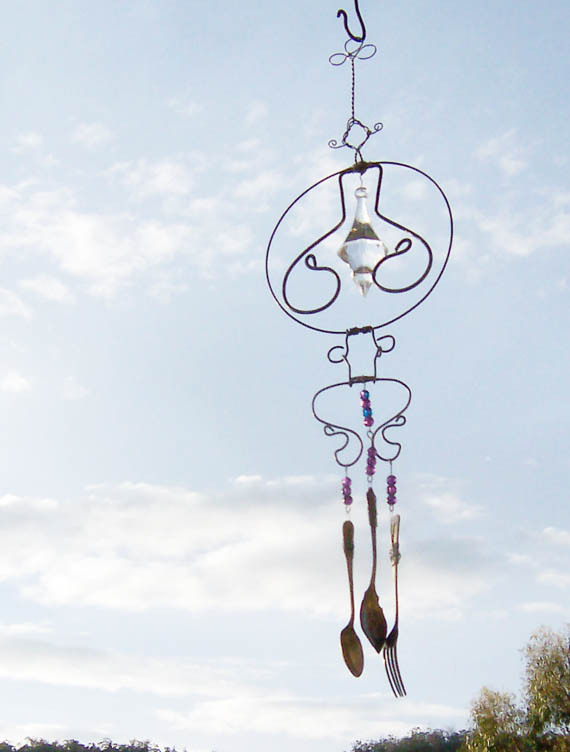 Today its the latest suncatchers and windchimes. 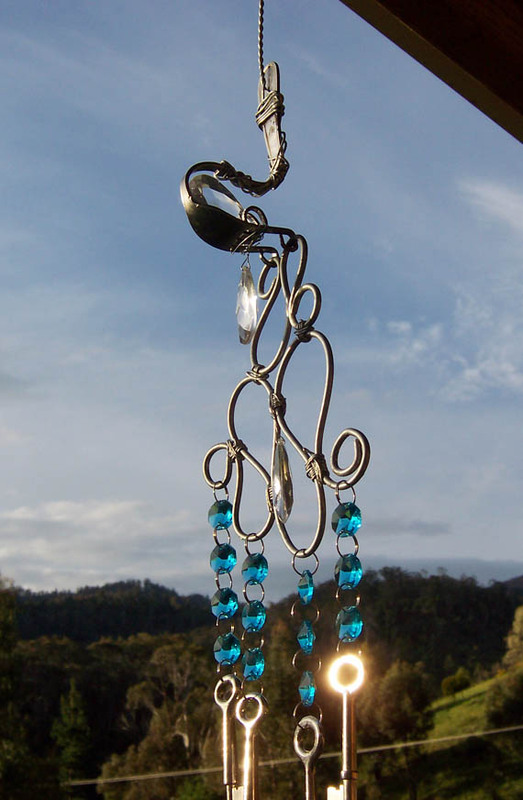 These were made for a lady who was interested in buying a few as Christmas presents. She said she may be interested in four but I had to make more to give her a choice. What she doesn’t buy will go with me to the Shabby Market on December 8th. 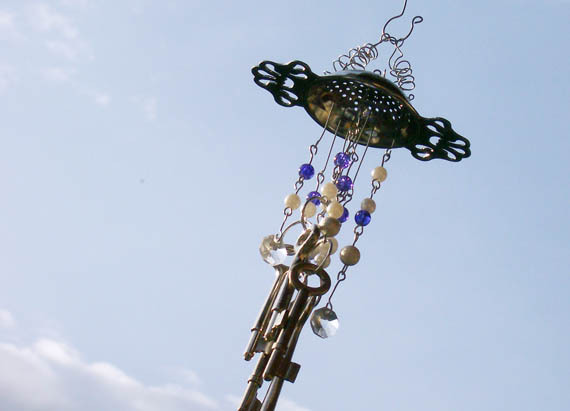 The first one, above, is one of my creations, made from a tea strainer, keys, beads and crystals. The one below is a very bent fork (I think Wayne may have had some anger issues on the day he made this one). I then blinged it up with cyrstals and keys. 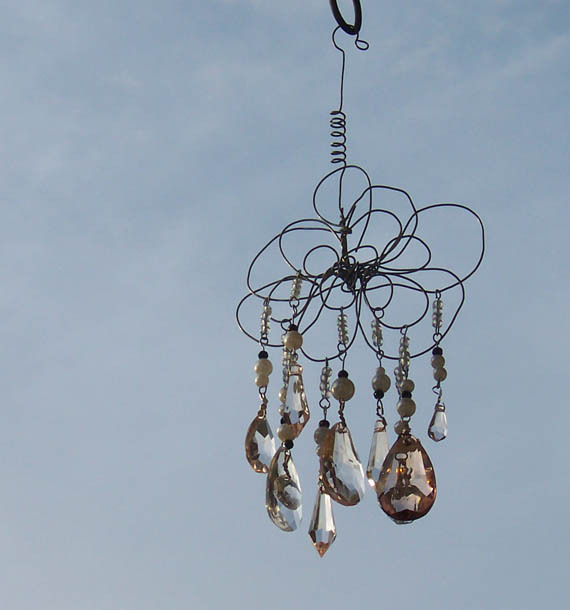 The one below is more of Wayne’s twisted wire shapes, my bling and antique silverware. 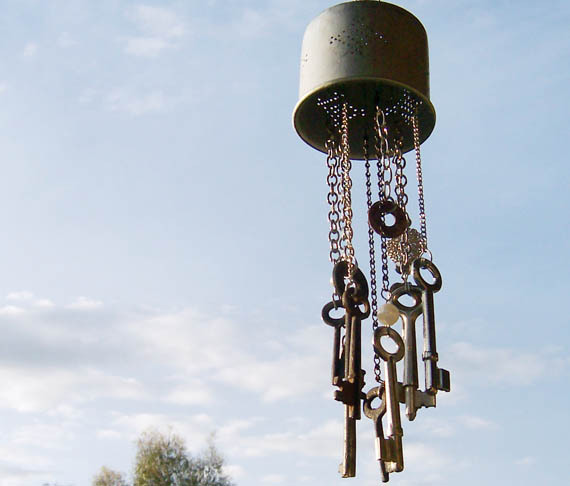 The one below is an ‘on my own’ creation made with a coffee filter (I think it came out of an old coffee pot), lots of different chains and keys – both shiny and rusty. Another Wayne creation – I love this one. 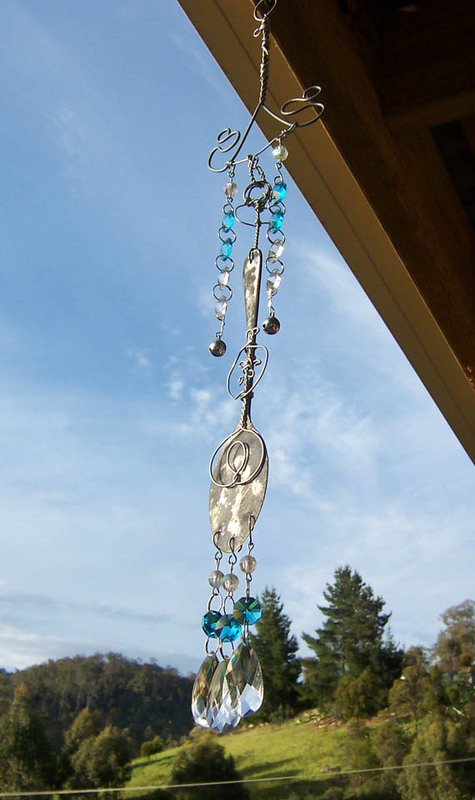 The decorated flat spoon… very pretty. 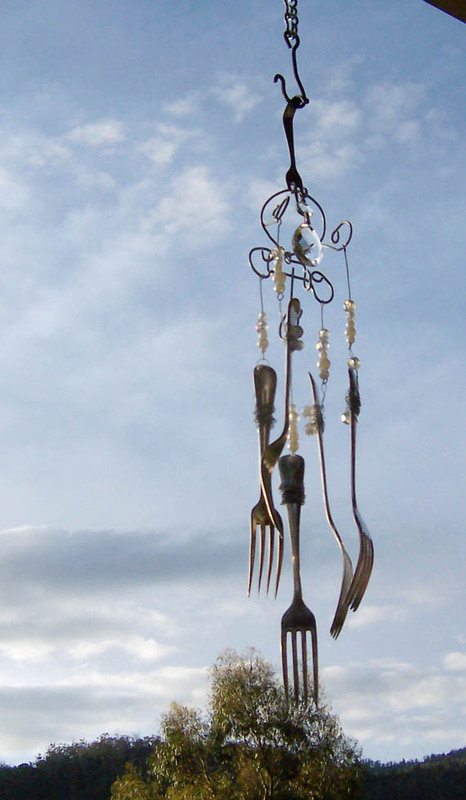 Again, an abused fork, wire and my blinged up forks. We work well together don’t you think?